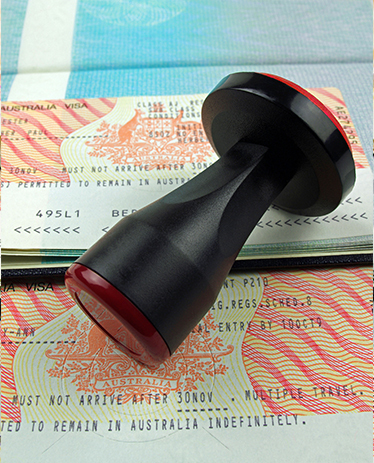 For the purpose of applying for a migration visa with the Australian, Canadian or New Zealand Immigration Authorities you may be required to provide a Police Clearance Certificate (Certificato penale) also known as National Police Certificate, Penal Clearance certificate, certificate of good conduct or police check from a country where you have resided in the past as part of the character to be satisfied. For example, if you are applying for an Australian visa you are required satisfy the character check requirements by providing Police Clearance Certificate or other evidence from each country where you have lived-in for 12 months or more in the last 10 years, since turning 16 years of age. For visa applications with the Australian Department of Home Affairs (i.e. Australian Department of Immigration) it is considered that you have “lived” in a given country regardless of the fact that you may have lived for consecutive 12 months or for shorter period of times that add up to 12 months or more in the last ten years. - General Penal Certificate (Certificato Generale del Casellario Giudiziale). To comply with all Australian Government Departments' requirement you can also order a NAATI certified English translation of your certificate (not included in the price of certificate’s application from overseas). With AZ Translation you are guaranteed absolute confidentiality and discretion throughout the entire process. The Police Certificates from Netherlands will be written in Dutch. At AZ Translations we are specialised Translation and Apostille Services operators, and in dealing with us you will be assured the highest standard professional service across our range of services. © 2017 AZ Translations. All Rights Reserved.